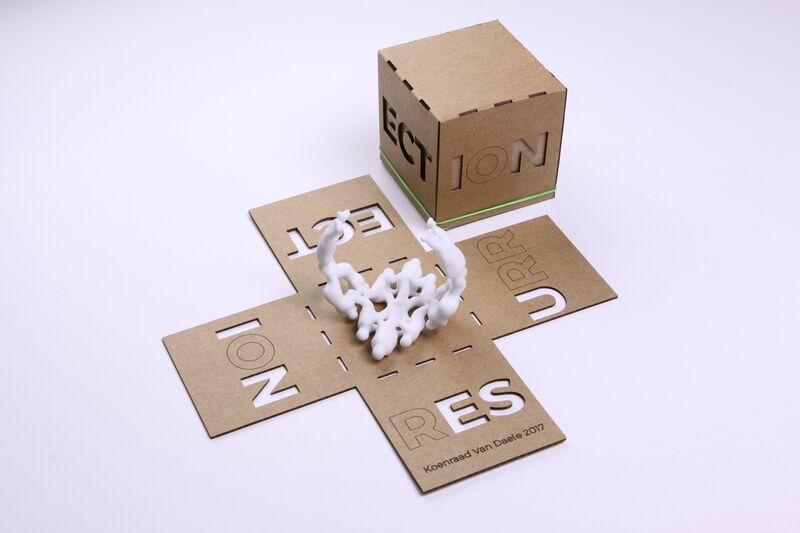 3D printing is a very broad concept that includes many different technologies, materials and even 3D design software. 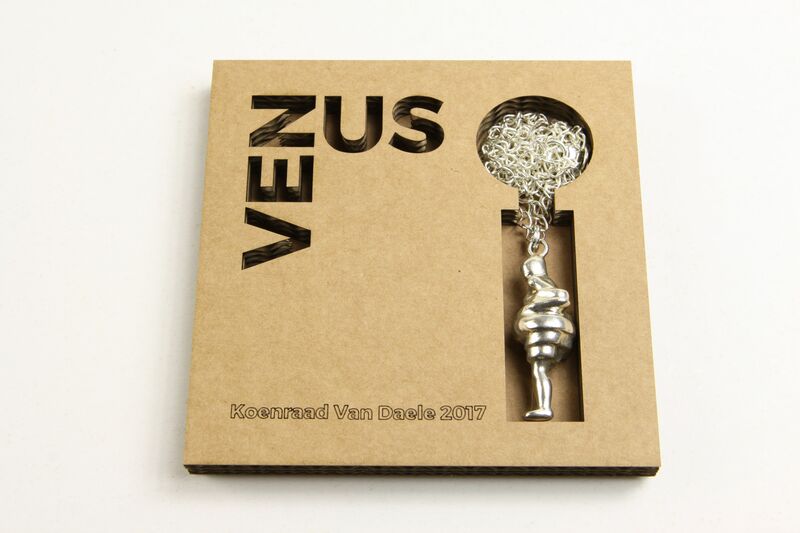 This also means there is a world of possibilities for creative artists willing to experiment like Koenraad Van Daele. 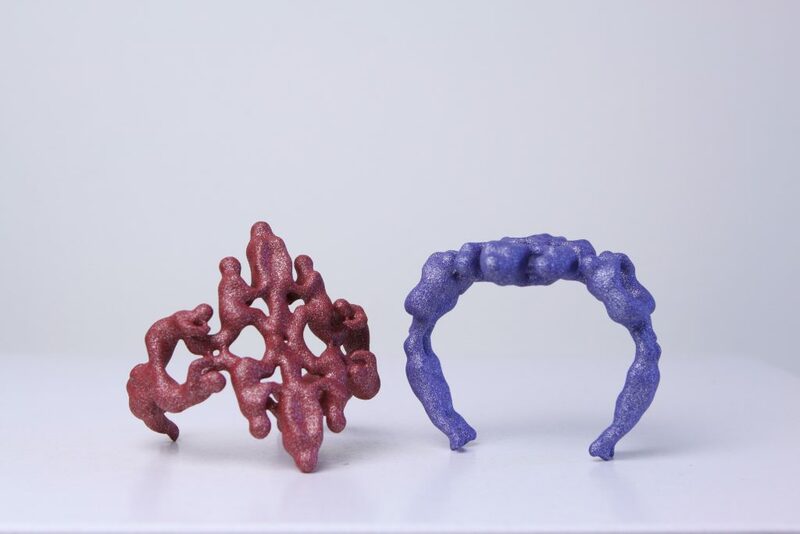 As a longtime friend of i.materialise, this Belgian artist is a good example of a curious mind experimenting with diverse 3D printing materials and sizes. 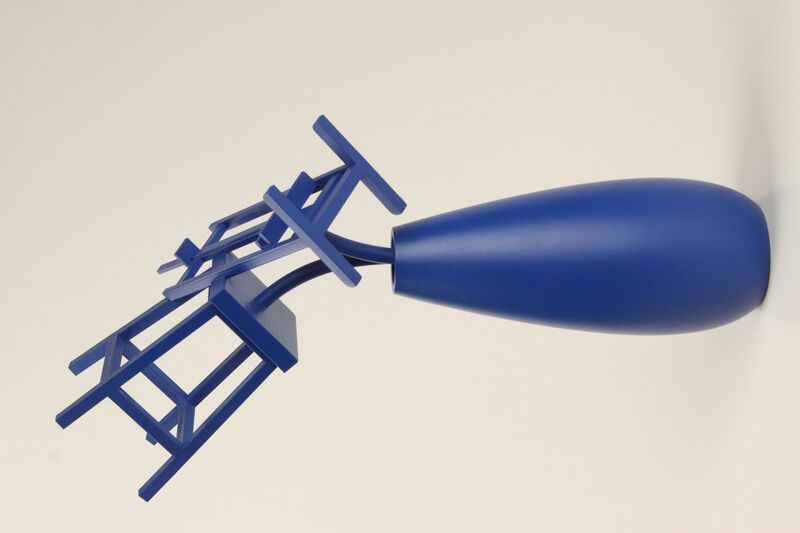 Welcome to the 3D-printed world of Koen Van Daele! Van Daele studied art and sculpture in Brussels and Carrara (Italy) where he explored clay modeling, molding and stone sculpture. In the late nineties, he bought his first computer with vector software and everything changed for him. Computers, graphic software, digital design and system development became his part-time job. Today he develops websites and online systems, does graphic design and has even co-founded a non-profit organization with a socio-artistic cause. 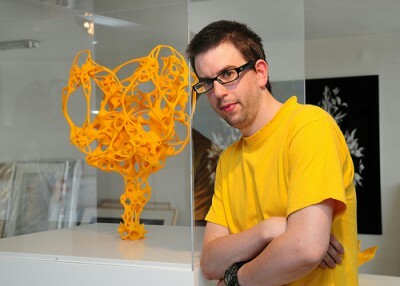 Thanks to 3D design and 3D printing he has rediscovered his love of sculpture. 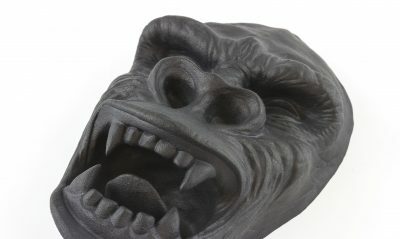 When did you start using 3D printing for your art? 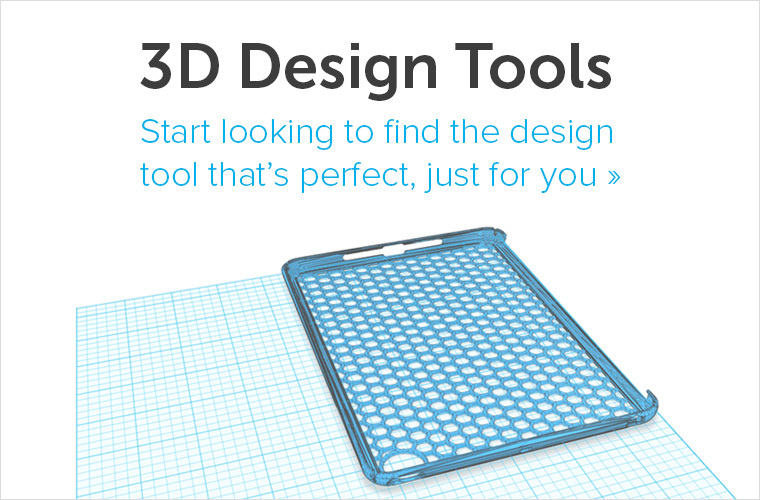 I registered at Tinkercad in January 2012 and placed my first order at i.materialise in December 2012. Between 2005 and 2008, I worked a lot with Macromedia Flash animation software. I also made some flipbooks and discovered François Willème’s work in photosculpture. So I was looking for a way or a method to go from 2D vector drawings to 3D. Autodesk 123D was very helpful at the time! With those tools, I was able to scan objects and turn them into digital 3D files. I scanned a wooden mannequin and separated and enhanced all the parts in Meshmixer. From that moment onwards, I realised that I could work 100% in a digital environment and that digitally modeling the human figure went much faster than clay modeling. I realised that I could work 100% in a digital environment and that digitally modeling the human figure went much faster than clay modeling. 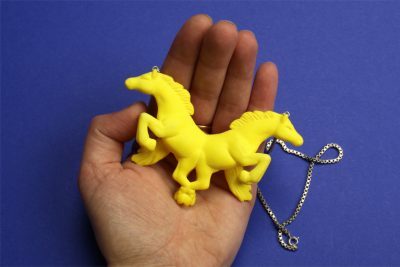 Where do you get your inspiration from as a 3D printing artist? A lot of my work is inspired by what happens or which objects can be found in an artist’s studio. The digital studio only requires a computer, a table and a chair. I questioned myself what to do with objects that were significant in the past like chisels, hammers, an easel, a sculpture table, the model, a drawing, a mold, etc. 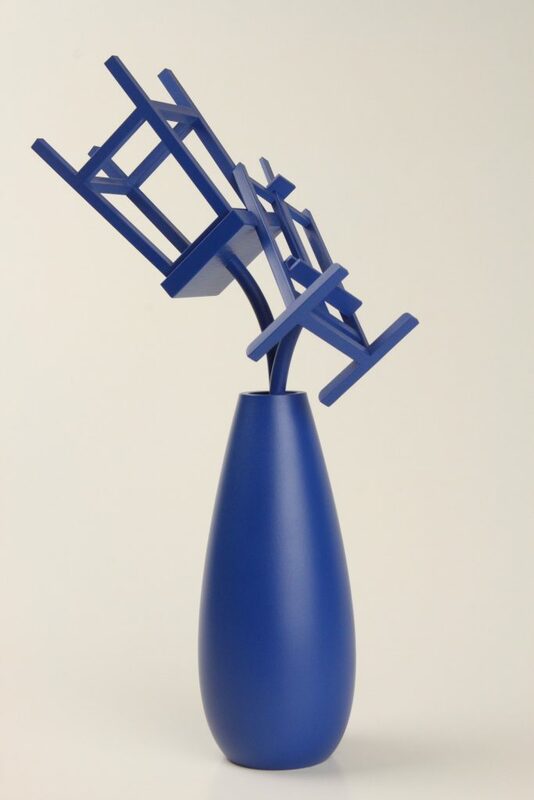 A significant work about this is Still Life with Easel and Sculpture Table printed in polymer and finished with blue spray paint. But today’s inspiration can come from different corners. I can be challenged by an open call, by a theme presented by a colleague, by other artists like Walker Evans, by a technical process or by what’s happening on my screen. A picture in a newspaper inspired My Funny Valentine. Today’s inspiration can come from different corners. I can be challenged by an open call, by a theme presented by a colleague, by other artists, by a technical process or by what’s happening on my screen. How is your creative process? 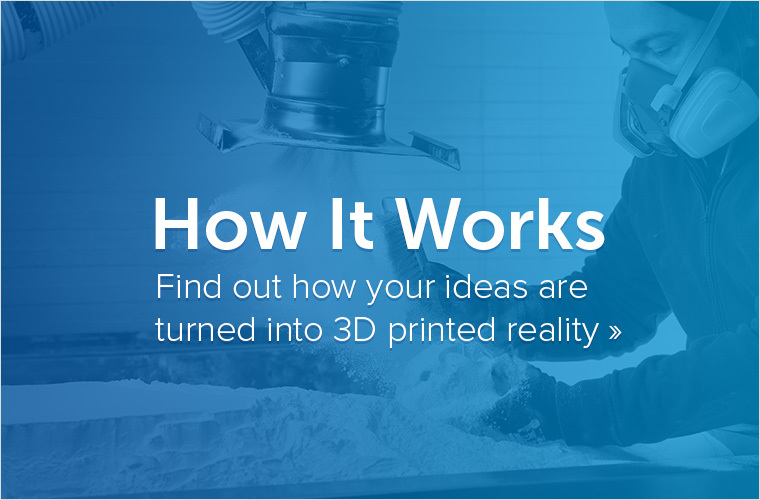 How do you get from the idea to a 3D print? My latest work is a ring with a group of eight figures. The theme is curiosity and I suppose it came to my mind while reading philosophy. I opened a file in Meshmixer with one figure (my silent partner), duplicated it and moved all the body parts so the two figures were standing face to face and holding their hands like binoculars. I duplicated the group four times and positioned them in a circle. The duplication was possible because it’s one of the key features in Meshmixer. The other one is the smoothing tool. The trouble with a ring is that it has to fit, so I designed and ordered several sizes (2 mm step) and colors in polyamide (SLS). 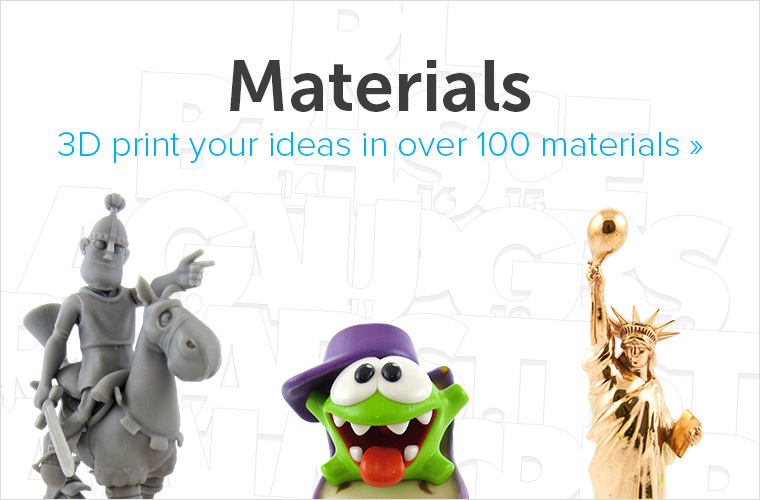 You 3D print models with different sizes and purposes. Do you work differently depending on the pieces you are working on? My work has roots in figurative sculpture. For me, digital 3D design has no scale and on the screen there is no gravity. 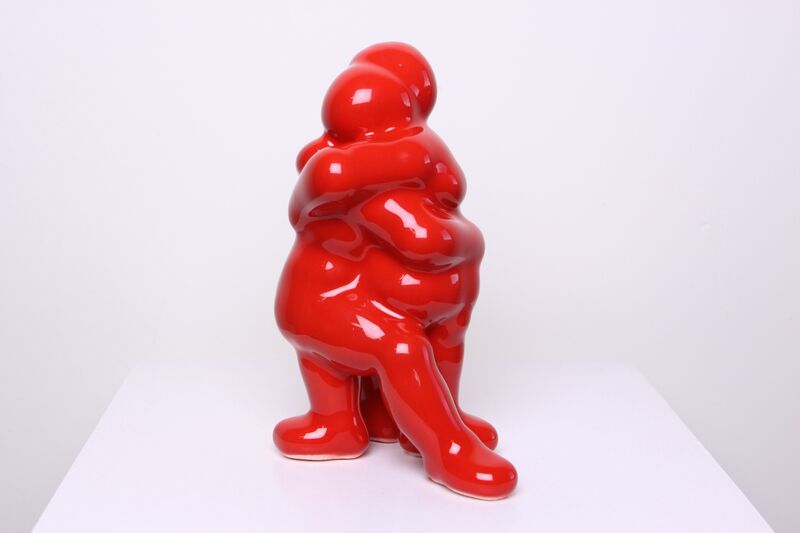 A standing figure with no support falls over but with a hole, it becomes a pendant. 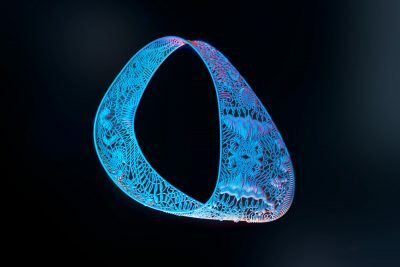 A large print of a bracelet can become a sculpture. It’s a playground! A lot of things can happen around a finger or an arm, even drama. Large prints cost more money and that also makes a difference. Digital 3D design has no scale and on the screen there is no gravity. 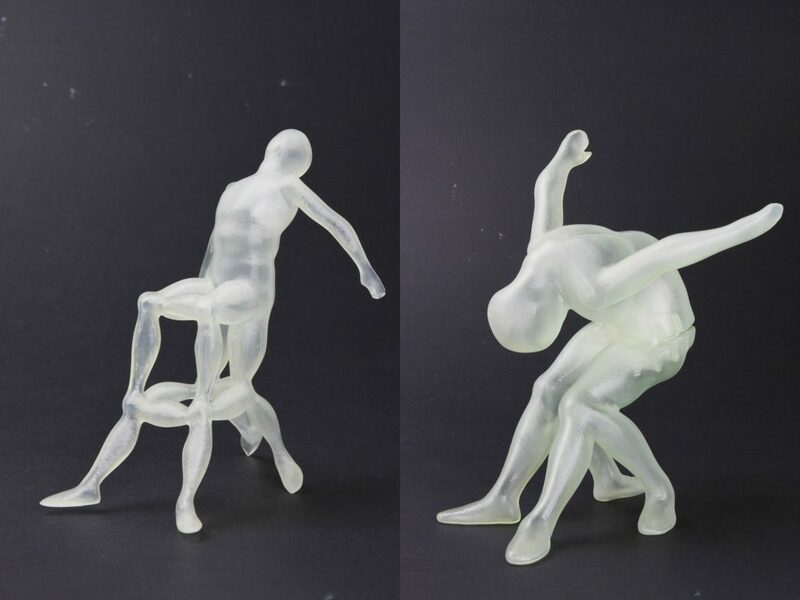 A standing figure with no support falls over but with a hole, it becomes a pendant. A large print of a bracelet can become a sculpture. It’s a playground! You also use different materials for your creations. Does your creative process depend on the material you will use? Every material has specifications, design rules, finishes and pricing. I love ceramics because of the glazing and maybe because it’s close to clay, which I used a lot in the past for modeling. I have no favourite at this moment, but my favourite could be a sustainable weatherproof material that needs no further finish for the outdoors. I am sure the future will surprise us with new materials and finishes. Sometimes I choose alumide for 3D printing for the extra sparkle: it contains a Christmas atmosphere. A challenge could be to design a wearable that is part alumide and part polyamide. The ring with the eight figures encouraged me to design a matching bracelet. A bracelet has more surface area with more figures and a story. Apart from that, I would like to experiment with code to find out how it can act as a guide for an image or for an object. I recently bought myself an Arduino (an open-source electronics platform) starter’s kit to experiment with servo and programming code. Find out about this 3D printing artist on his website and social media platforms and get inspired by his diverse creations. If you want to follow in Van Daele’s steps, go to our 3D printing platform and upload your 3D models. What will you print first? Tell us in the comments!